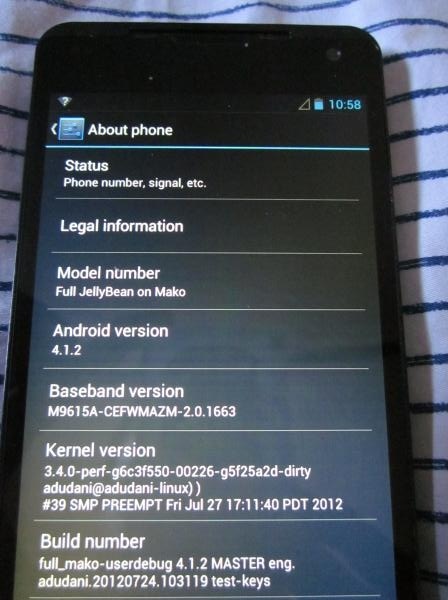 Galaxy Note 2 And iPhone 5 Step Aside, The LG Optimus G Nexus Is Real! The Galaxy Note 2 and the iPhone 5 have been out in the market for only a couple of weeks, the former hasn’t even officially reached the US yet, but in the fast-paced world of smartphones, that almost makes them old news. That’s not necessarily a bad thing either because it means phone manufacturers are always looking to one-up their competition and unveil something that will steal the spotlight. And right now, it looks like Google and LG are busy working on the next phone that just might do that — the rumored LG Optimus G Nexus. The photos were shared in an online forum in Belarus(brought to our arrention by the guys at Android Central) and does appear to be legit. What we can make out from the images is that the LG Optimus G Nexus does look a little different from the smartphone it was based out of, the LG Optimus G. For one, it has rounded corners and it has a silver rim at the edge of the device. The material they’ve also chosen for the back casing looks “interesting;” I wonder how that would feel once you have it in your hands. Andy Rubin, one of Android’s pioneers, is expected to give a talk at a conference hosted by AllThingsD at the end of the month. Considering that he showed off the Google Nexus S at the same event two years ago, its possible that we might get more details on the LG Optimus G Nexus during his presentation. Until then, hold tight and we’ll be back with more information about this device as soon as its available. Do you think the LG Optimus Nexus G can give the Galaxy Note 2 and the iPhone 5 a run for its money? 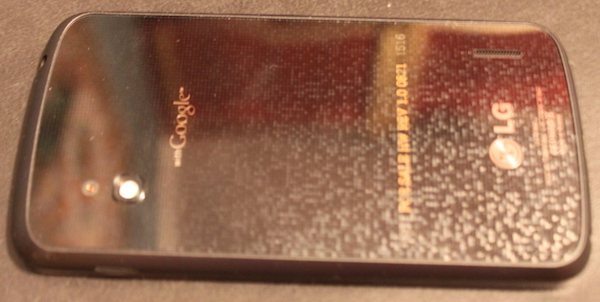 What else can Google and LG do to make the LG Optimus Nexus G better than the Galaxy Nexus? Share your thoughts in the comments below! 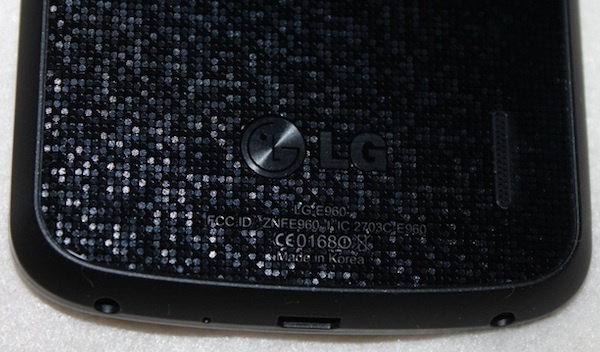 UPDATE:Check out more photos, rumored specs of the LG Optimus G Nexus here!